among the native peoples of Canada. Source of collect: Give Us Grace: An Anthology of Anglican Prayers, compiled by Christopher L. Webber. Anglican Book Centre, Toronto, 2004, p. 456. Born in Exeter, England, to humble Christian parents, John Horden resolved to be a missionary while a young boy at school and, when he was 23, the Church Missionary Society (CMS) offered him a post as a teacher and missionary at Moose Factory on James’ Bay. He and his young wife set sail on 8 June 1851, arriving at Moose Factory on 26 July. Horden gave himself whole-heartedly to his task. Within eight months he was able to teach and preach to the indigenous people in the Cree language. In the summer of 1852, Bishop David Anderson of Rupert’s Land travelled 1500 miles to visit his new minister, initially planning to bring him to Red River for theological training. The young man’s conscientiousness and maturity were so impressive, however, that Bishop Anderson changed his plans, ordaining John Horden priest on 24 August. Rev. Horden ministered to the James Bay Cree and Hudson Bay Company employees for many years, visiting indigenous peoples all around the James Bay region. He translated the Gospels, a hymnal, and a prayer book into Cree, and sent them to England for printing. Because no one was competent to proof-read the master copies, the CMS sent him a printing press and told him to print the books himself. Horden needed many long, frustrating days to teach himself how to assemble and operate the press. His printing press was soon producing other Christian literature in Cree. He also wrote a grammar of the Cree language. 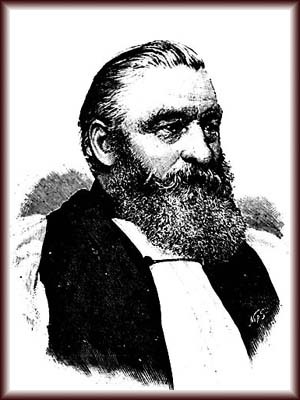 In 1872, Bishop Robert Machray of Rupert’s Land decided that his diocese had grown too large and should be sub-divided. Thus, at Westminster Abbey on 15 December 1872, the Archbishop of Canterbury consecrated John Horden the first Bishop of the Diocese of Moosonee. Bishop Horden continued to travel across his vast diocese. By the end of his life, most of the Cree of James Bay had been converted, as well as many Ojibwa, Chipewyan, and Inuit. Also, he laboured on translating the Bible into Cree until he died unexpectedly on 12 January 1893. He is buried at Moose Factory. Biographies of John Horden are posted here and here.